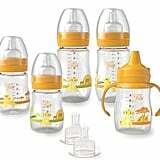 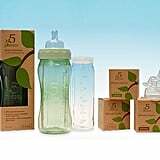 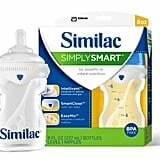 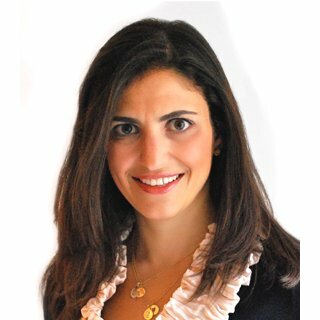 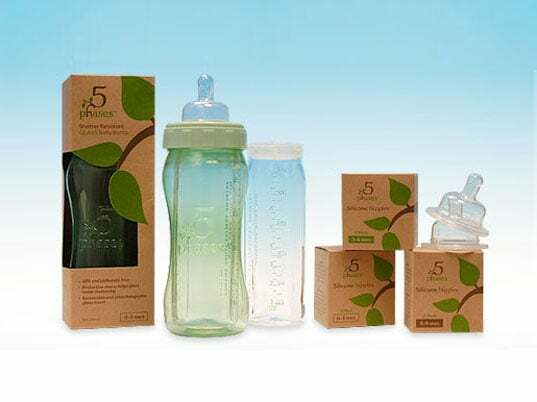 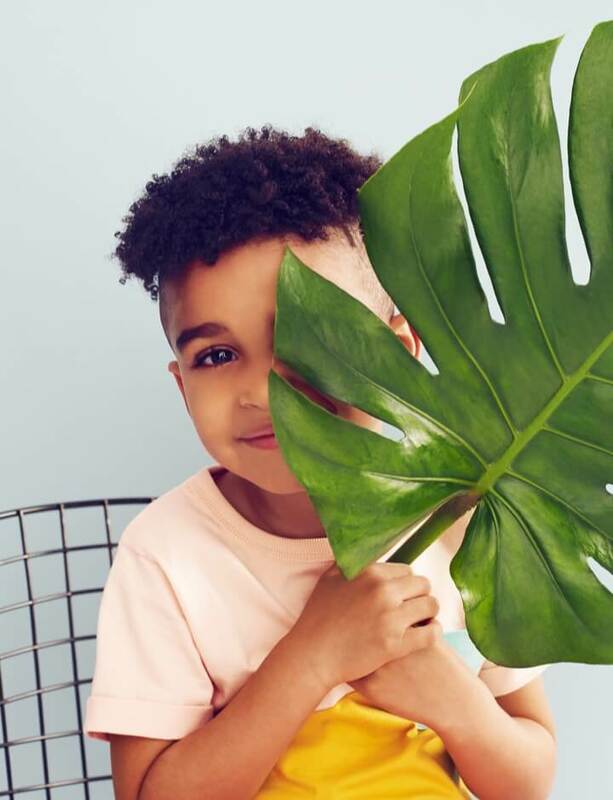 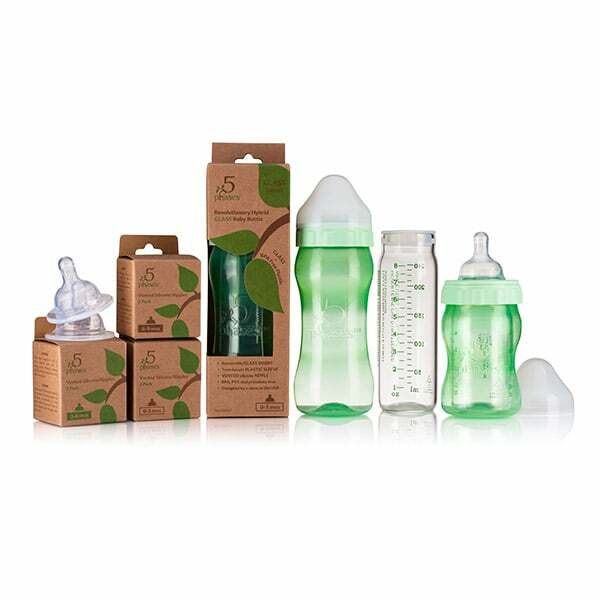 The safety of a glass baby bottle and the comfort of a BPA-free plastic bottle in one, the 5 Phases Bottle ($20 each) is one of the most interesting phthalate-free bottles to hit the market. 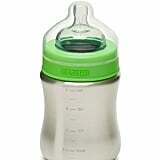 A removable glass insert is placed within a plastic sleeve to protect baby (and floors) from shattered glass. 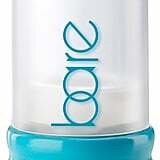 If the glass does break, it is contained within the plastic sleeve, making clean up a breeze.